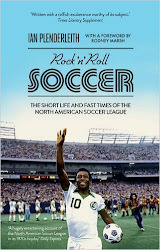 My forthcoming book Rock n Roll Soccer: The Short Life and Fast Times of the North American Soccer League (Icon Books, September 2014) will for the first time examine and analyse a daring, garish football league that was out of place and out of time. The NASL was an attempt to make football work as a business in one of its largest unconquered markets – the United States and Canada – in the 1970s, when the rest of the world had barely thought about the game’s commercial potential. After a reckless, nigh-on suicidal start in the late 1960s, the NASL stabilised on a low budget with mainly no-name foreign players. Yet when the New York Cosmos signed Pelé in 1975, it suddenly bloomed and boomed, and the world’s biggest names (Eusebio, Cruyff, Best and Beckenbauer) came to ply their trade and earn some cash. Meanwhile, wealthy North American sports entrepreneurs sought to teach the world how the game should be run – for the sake of pure entertainment, with an eye to making a profit, and preferably without the interference of FIFA. As a journalist covering Major League Soccer and the US national team in the early years of this century, it often struck me how many untold stories there were from the NASL days, and how many players were still in the game to tell them. A colleague who’d proposed writing such a book ten years earlier told me that no US publisher had been interested. But now in London, England, one small independent publisher has had the conviction to take Rock n Roll Soccer on board and allow the remarkable story of the NASL to be told in full. During the relative euphoria of the US national team’s exciting campaign at the 2014 World Cup, several hacks posited the idea that football had now truly arrived in the US. In fact it truly arrived decades ago, mainly in the form of European and South American players who not only came to play in the NASL, but to coach the game by tirelessly conducting clinics in thousands of schools across the country. Once the NASL went bust, many of them stayed on to make a living in a continent they’d come to love, and many are still here today. It wasn’t Jürgen Klinsmann who built US soccer, it was men like Rodney Marsh, Alan Merrick and Jimmy Gabriel. Rock n Roll Soccer is a fluid narrative of excess, bravery, adventurousness, folly and football at its finest, played by international heroes among third division journeymen and young native hopefuls. Some of the things that the NASL attempted are retrospectively ridiculous, but many of its ideas and innovations have since became staples of the modern game. 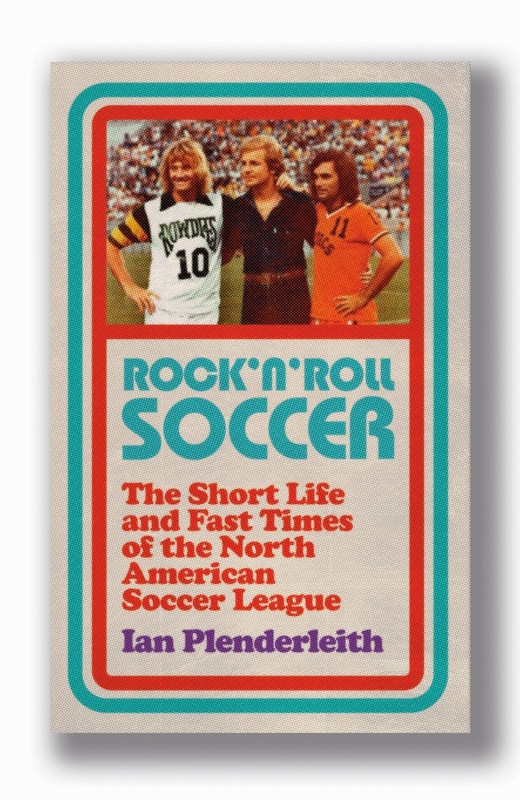 No one ever gave the NASL credit, though, which is one of the main reasons that this book now exists.